21inch Water Pipe is the cause of Telfords Drought. “As the repair is proving more complicated than we first thought, and the heavy rain is causing us problems, we’ve made bottled water available to anyone affected by this morning’s burst pipe. The water is available at two locations – Tesco in Park Avenue, Madeley TF7 5AB and at the Museum of the Gorge car park in Ironbridge. There will be plenty of water available for everyone, with various deliveries arriving during the course of the evening.The sites will remain open until at least 10pm tonight, with a new delivery of 18,000 and 6,000 litres respectively having just arrived. 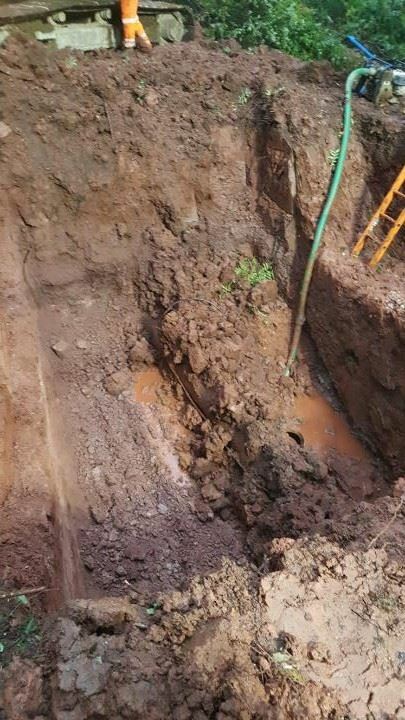 One of our biggest water pipes supplying Telford cracked at around 4am today, causing issues for customers in the TF7 area, with people living in TF3, TF4 and TF8 also affected. 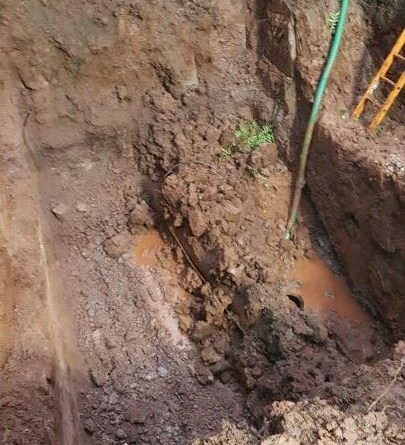 The 21-inch pipe is very deep underground and, before we can start to dig, we’re having to cut back nearby trees and are also working with Cadent as the pipe is next to one of their high pressure gas mains. We have to be very careful when we start to dig to make sure that we don’t cause any more problems. While we’ve had some success with getting customers back on by moving water around our pipes in a different way to normal, and by using a fleet of 16 tankers to inject water directly into our network, getting at least 8,000 customers back on supply we have to be careful doing that to minimise the risk of causing issues with the network as a whole. We’ve been working with the emergency services and with local councils to get the bottle drops organised and would like to thank them for their help. We’ve just delivered 18,000 litres of bottled water to the Tesco site and an additional 6,000 litres to Ironbridge, with more on the way. Our work may result in lower pressure than normal for some customers and there is the possibility that supplies may be a bit murky, which is nothing to worry about and is just a result of the way we’re moving our water around the pipes, although we understand that you might not want to drink it. We understand that the murky water is also affecting Shifnal but this should clear in time and is related to the Telford burst. Our call centre teams are working hard to answer everyone’s calls but volumes are quite high at the moment so it may take longer than normal for us to answer. Our headquarters teams have also been in touch with our priority customers, who might not be able to get out to the shops or who might need water to live, to make sure they have all the water they need. We’ve also been in touch with local care homes to make sure they’ve got all the supplies they need. When will it be back on in Aqueduct ? Broseley and much wenlock also without water.